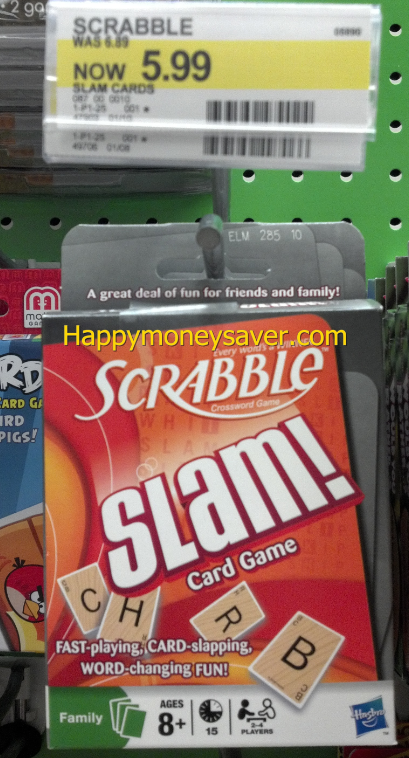 Target has Scrabble Slam marked down from $6.89 to $5.99. 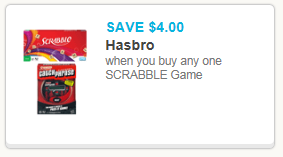 Print this $4.00 off any one SCRABBLE Game Coupon and pick up a game for only $1.99. This would make an inexpensive great gift for a child, friend or teacher! 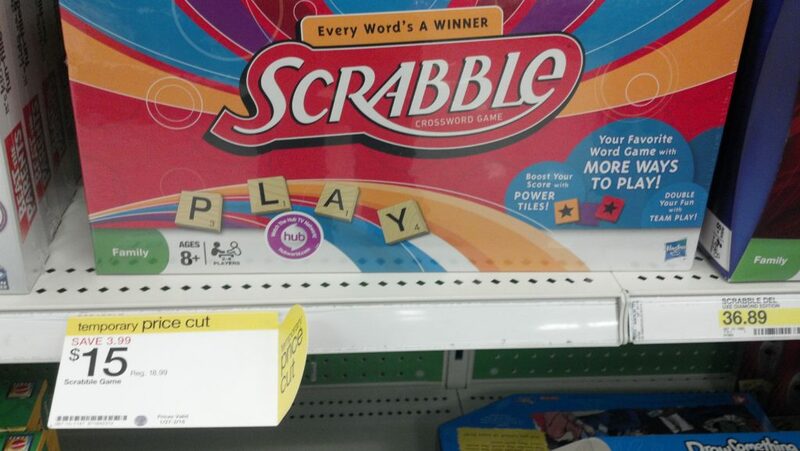 use $4.00 off any one SCRABBLE Game– in fine print it states not redeemable on card games, bummer. Sorry! Thanks, Billy!